Every weekend I go to the grocery store and stock up on healthy foods in order to ensure I eat well throughout the week. 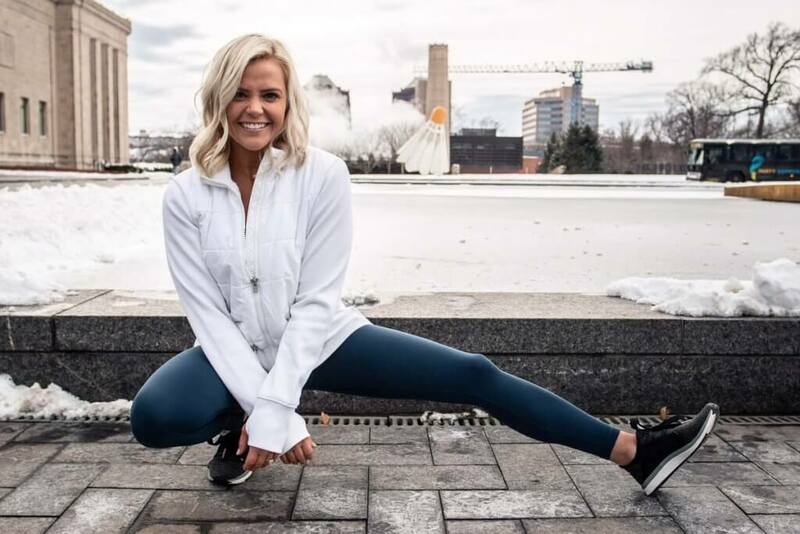 It’s so important to have a few meals in mind (if not a full meal plan for the week) and bring a list with you to keep you on track while you shop. This will prevent you from picking up unhealthy and unnecessary items as you mindlessly wander through the aisles searching for foods that “look good” at the time. This is especially dangerous if you go to the store hungry — I think we’ve all been there. Do yourself a favor, sit down for 10-15 minutes before you go to the store, and make a list! I know a lot of people really struggle with deciding what to eat during the work week, so they end up eating out instead, which is not only bad for your wallet, but it could also be bad for your health. Restaurant foods tend to be super high in sodium, saturated fat and added sugars, so cooking at home is almost always a healthier option. Luckily, making your own healthy meals can also be extremely delicious and easy; you just have to make it a priority and take a little time to do the prep work. Here is the grocery list I made a few weekends ago as an example. Think about everything you’ll need throughout the week. This includes breakfast items, lunch items, dinner and snacks. Focus on plant foods as much as possible! I always tell my patients and clients to think of snacks as an opportunity to fit some extra fruits & veggies into your day, because most people are not eating near enough. Some of the foods that I love to snack on include: cuties, bananas *always with crunchy peanut butter or almond butter*, mixed dried fruit (with no sugar added), grapes, and unsalted mixed nuts that I turn into a homemade trail mix every week. In case you were wondering, here’s what I add to my trail mix! Shameless engagement ring plug. Less than five months, people. LESS THAN FIVE MONTHS. !!!!! *PS: if you have never heard of Grainful, their products are awesome. 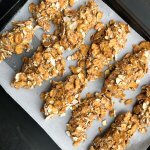 They are made from 100% steel-cut oats and have all healthy ingredients, and they taste amazing. The cheesy oats are my fav, but the jambalaya is delish too! They even have some awesome frozen dinners too, that are not ridiculously high in sodium. WIN. If you live in the KC area, I was able to find them at Hy-Vee! You can also go on their website grainful.com to see where their products are located. Crockpot White Chicken Chili — click the link for the recipe! Eat out at Cooper’s Hawk on the plaza! 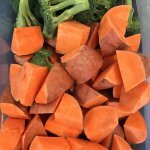 After I went to the store on Sunday afternoon, I chopped up some large carrots, broccoli and sweet potatoes to be used later in the week. I also chopped up the red onion, bell peppers and shucked the corn on the cob for us to eat for dinner Sunday night. 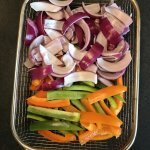 We grilled the peppers and onions in a grill basket with some garlic powder, black pepper and a drizzle of EVOO, along with some grilled chicken, and microwaved the corn on the cob. We had lots of leftover chicken that I could incorporate in meals throughout the week! Sunday night dinner – yum! Gotta love grilling season. I also ended up throwing in some quinoa with those grilled veggies, because I had some leftovers to use up and it was the perfect combo! On Monday night, I went with the Grainful Cheesy Oats with roasted veggies and sautéed shrimp, and while everything cooked, I prepped all the ingredients for the Crockpot White Chicken Chili so it would be ready to throw in the crockpot the next day. On Monday night I packed up my dinner leftovers to bring for my work lunch the next day, along with some of the healthy snacks I bought at the store. Cauliflower, broccoli and carrots simply tossed with 1-2 tbsp of extra virgin olive oil and seasoned with black pepper and garlic powder! Roast in the oven at 400 F for 30-35 minutes. My favorite! As you can see, I chopped all the veggies, drained and rinsed the beans and measured out the spices for the Crockpot White Chicken Chili so I could easily throw it all in the crockpot on Tuesday for dinner that night! Tuesday morning: my post-workout breakfast was 2 eggs with frozen spinach (keep frozen spinach on hand and you’ll easily get your greens every day! 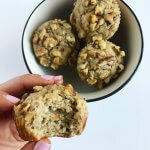 ), plus these Paleo Morning Glory Muffins from Bakerita’s blog that I LOVE! I froze half the batch and they heat up great in the microwave for a quick, easy breakfast! Smothered in almond butter, of course. I cannot get enough of that stuff right now. I think I’ve gone through two jars of it in the past two weeks. OOPS. I absolutely love the Naturally More brand, in case you were wondering. It’s cheaper than others I’ve seen and it is literally crack. It has probiotics in it (yay, gut health!) and flax, which gives it a little crunch, but in the best way. You all have to try it!! Tuesday’s work lunch: leftover Grainful cheesy oats, roasted veggies, grilled chicken, fruit, pressed Kind bar and homemade trail mix. Plenty of healthy food and snacks so I wouldn’t have to rely on vending machines or gas station snacks to get me through the day! I definitely needed all of this fuel after a tough leg & booty workout that morning at Health House! Tuesday dinner: Crockpot White Chicken Chili topped with avocado, salsa and plain Greek yogurt. *currently drooling looking at this picture again* I ate chili leftovers for lunch on Wednesday, too. Full disclosure: I also love munching on Beanito’s chips and salsa along with this chicken chili. Chips & salsa = one of my favorite things in this world. I know I’m not alone in that. On Wednesday night, we made Kung Pao chicken with green beans and brown rice for dinner. I promise I will be sharing the recipe for this very soon. It is SO delicious and so healthy!! Another Chinese-inspired recipe that I can totally get behind (just like this Cauliflower Fried Rice!) There were also leftovers of this meal that two of us could’ve eaten for lunch the next day. On Thursday night (or as I like to call it, Friday Eve), we whipped up some turkey burgers, which I rarely eat because I forget about them! But they are so tasty, and I love the Target brand because they only have two ingredients: turkey and rosemary! I ate my turkey burger on top of a whole wheat bun with spinach & arugula plus a little ketchup, alongside roasted sweet potatoes, roasted carrots and Parmesan Garlic Roasted Asparagus that I just shared the recipe for last week! I’m in love with all of these beautiful colors!! Eat the rainbow, y’all. Give me a veggie flatbread with a dreamy balsamic drizzle like this and I’ll be the happiest girl in the world. So sad, yet so true. What a great blog and so helpful! Great job Shanna!